If I had to say what my favorite fall dish would be, I think I would say chili every single time. My usual recipe is pretty simple, but sometimes you just want something a bit more...wow...and this recipe certainly covers that! Use a 6-quart slow cooker. 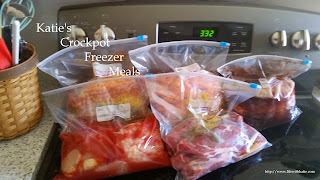 Place everything into your crockpot: meat, sausages, tomatoes, onion, garlic, and all the seasonings. Stir in the broth. Cover, and cook on low for 8 to 10 hours. For chili, the longer the better. Serve with your favorite toppings. We love saltines or oyster crackers, shredded cheese and/or sour cream! No matter how you serve it, it's yummy!